High school freshman T.J. Jackson thinks his summer will be a drag when his widowed dad dumps him off for a vacation with his Uncle Mike, a Park Ranger at the Gettysburg National Battlefield, Aunt Terri, and his geeky adopted cousin LouAnne. But T.J. is in for a few surprises. For starters, Gettysburg isn’t the boring Civil War town he expected. 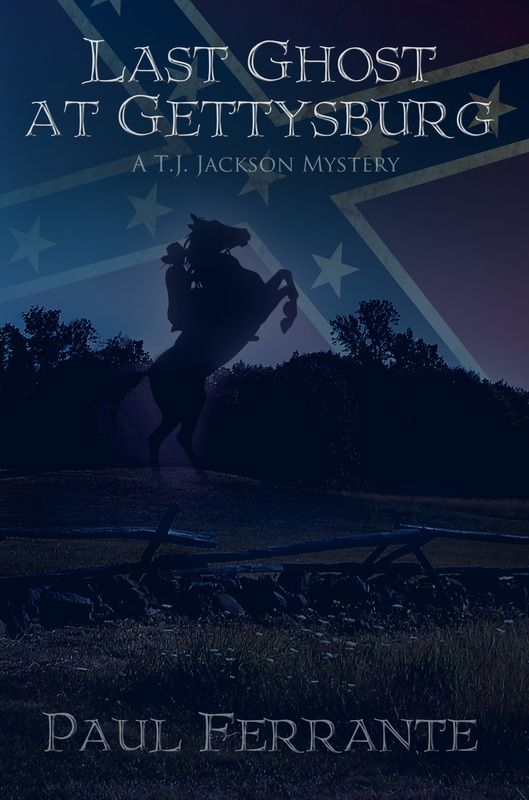 A ghostly Confederate cavalier has been terrorizing nightly visitors to the battlefield. And LouAnne isn’t so geeky anymore- she’s become a sassy beauty who leaves him breathless. Things escalate when the cousins, aided by T.J.’s quirky friend Bortnicker from back home in Connecticut - who also has his eye on the lovely LouAnne - attempt to solve a murder mystery that has the local police, park rangers and paranormal investigators in a panic. Because how do you stop an undead killer from 1863 from wreaking havoc in the 21st Century?